The purpose of the Conserving Coyote Valley Agriculture Feasibility Study was to assess the potential for creating an economically viable and ecologically and culturally valuable, agricultural resource area within the 7,400 acre Coyote Valley, located just south of San Jose. 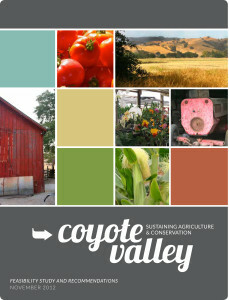 The genesis of the Study was the opportunity, following the cessation of the Coyote Valley Specific Plan, to reconsider a future for the Valley in which agriculture would be revitalized as a significant regional resource. The Study was organized in two phases. The purpose of Phase I, completed in December 2011, was to investigate existing conditions and to make a determination of baseline feasibility. The purpose of Phase II was to: (1) refine the overall vision and formulate objectives; (2) investigate certain existing conditions in more depth than the Phase I work allowed; (3) evaluate specific conservation mechanisms and financing models that could be employed to support economically viable agricultural operations and an ecologically valuable resource area; and (4) identify potential implementation strategies and options for governance and ongoing management. 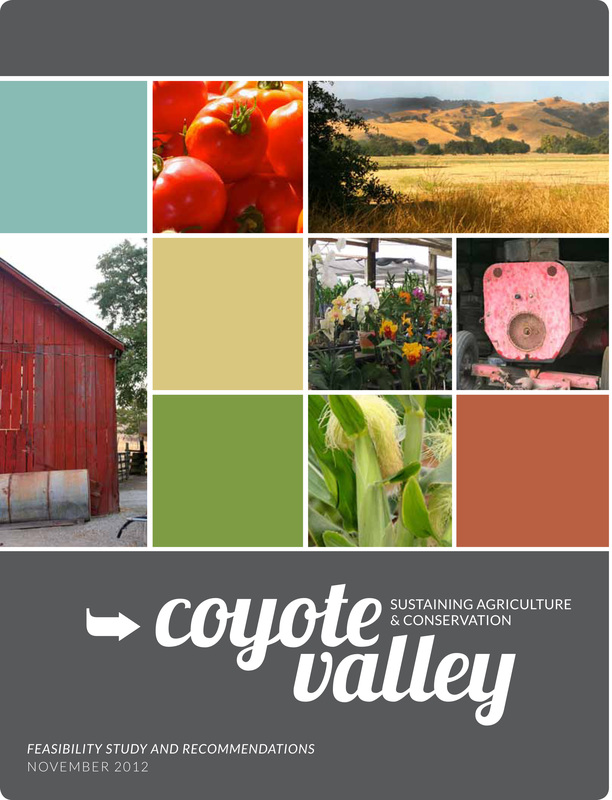 The final report concluded that it is feasible to sustain agriculture and conservation in the Coyote Valley and developed recommendations for strategic actions over a 25-year period.